The other night, my best friend, C.G. and I were discussing how using the new Ritual Path Magic system in my Otherworld setting would impact it (check this post out to see what I eventually came up with).This particular campaign has been around for almost six years now and I’ve put a lot of thought and effort into it, it is without a doubt the favorite child of my many children. I’ve spent hundreds of hours writing up material, drawing maps, etc. for this thing, and it shows in the sprawling detail I have for it. Now most of the time, when a GM puts this much detail into a setting he HATES to have things “messed” up by player characters. Not me! At one time I might have been that GM, but never with this setting. It has grown to what it is now mostly through player character actions. It has become this sprawling giant of a campaign because I took into account everything my players did and adjusted the world accordingly. Any of my players will tell you the one thing I always hold above just about any other rule I have when I run: Actions have consequences, and I enforce them. If you play in any game I run expect this one axiom to stand above any others I might have. If your character chooses to do illegal things and get caught, you will go to jail. I won’t stop you from doing those illegal things, but I will play the NPCs of the setting in as real a way as possible. This has turned off many players to my campaigns, and I’m sad to see them go, but everyone knows the drill when they sign up to play with me. I have a list of rules, play styles, etc. that I had out before I invite any prospective player to play with me. I want them to understand beforehand that these are the things I will rarely change. Most people still want to play, and the ones that do go after a while tend to be power gamers (vs. gamers playing with powers), spotlight hogs, and vindictive players. I call them “sandtrap players” because that’s what they are and do: they bog down the game and can quickly turn a good campaign into a quagmire of misery for all. Basically, I am at no loss when they go. This has enabled me to form a tight and well-rounded gaming group, some of the wheels are squeaky but overall they are a good bunch of folks. I know GMs who have to deal with all sorts of nasty headaches like rules-lawyering, munchkins, etc. I don’t, and that’s just the way I like it. Because the fun of all can be ruined with even one person who does these things. The composition of a gaming group is like what goes into a good cake, no two ingredients are the same, each has its own flavor it adds to the whole, and when mixed together they become as one. Gaming is my hobby and truth be told, it’s really my one and only hobby, everything else I do for “fun” tends to link into it in some way. I want my hobby, I want my time, to mean something, but most of all I want it to be fun. I hope any who read this think as I do, or are inclined to do so. Gaming should be fun! It doesn’t mean you have to run a silly or over the top campaign, some of the best moments I’ve GM’ed or played were some of the most tragic, terrible things that could happen to a character happen and the player has to pick up the peices. But those tragic things are what make the character and be extension the game seem so real. 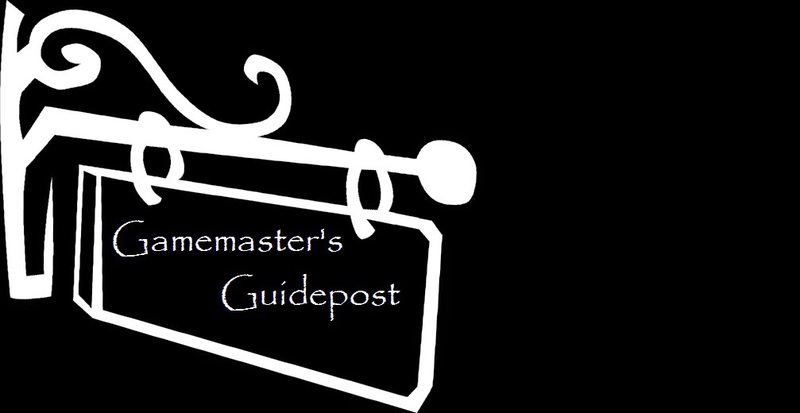 Posted in Gamemaster's Guidepost and tagged gaming advice, GURPS, Role-Playing, The Chronicles of Ceteri.